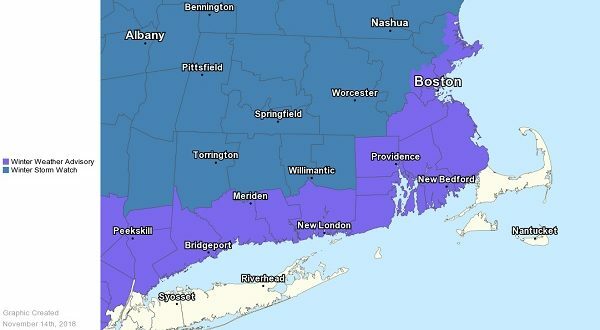 The National Weather Service has issued a Winter Weather Advisory in effect from 4pm Thursday to 1am Friday. * WHAT…snow expected. Total snow accumulations of 1 to 3 inches expected along with a period of sleet/ice pellets. Winds gusting as high as 35 mph. 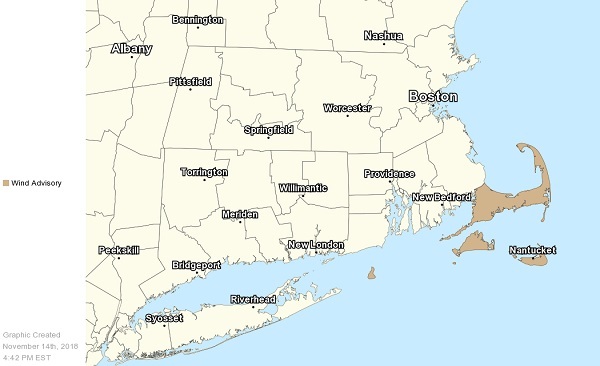 * WHERE…Portions of southeastern Massachusetts and northern and southern Rhode Island. 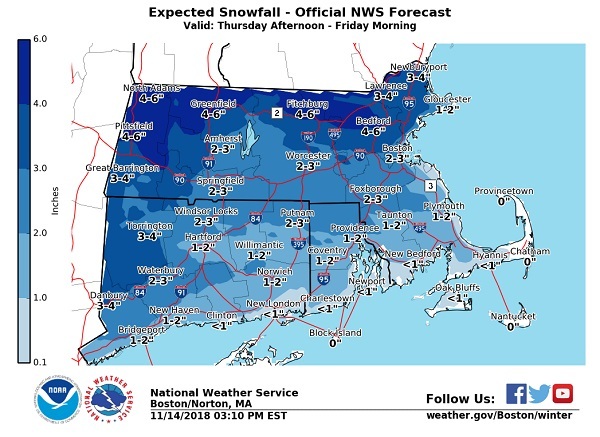 This includes the cities and towns of Taunton, Brockton, Plymouth, Fall River, New Bedford, Mattapoisett, Foster, Smithfield, Providence, Coventry, West Greenwich, East Greenwich, Warwick, West Warwick, Bristol, Narragansett, Westerly, and Newport. * WHEN…From 4 PM Thursday to 1 AM EST Friday.